How do I add search to my website? I am working with intuit website builder and don't see any way to add search box or a drop down extension box from the main item. The easiest way to add a search engine to your site is to use this code. Just plop it in your website. If you need code to search your whole website, or you want it to open the search results in the same window, as your search bar, I would need more information to build the code. Its pretty easy. Just email me at: [email]shockwave13@gmail.com[/email] and I will help you build the code. I would recommend using Google Search to set-up your own customized search feature for your website. The instructions are very straight forward and easy to accomplish. 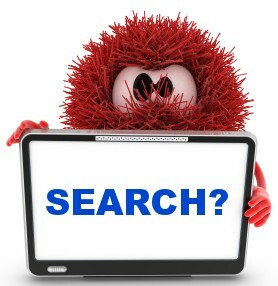 Google allows you to customize and set the the search for either your site and/or the internet. Plus, you have the option of adding Adsense (and earn a few extra dollars) if you create a separate web page on your site to display the search results. Once you have customized the Google search features, you simply copy and paste the code provided where you want the search boxes to appear on your site. For the convenience of visitors to this site, if you take a look at each web page on this site you can see that I have an average of two Google search boxes on every page. There is a small Google search box in the upper right hand corner of every page as well as a larger search box at the end of each page. As for the part of your question about how to create a drop-down box for the search function, I have to confess that level of coding is far beyond my understanding so I can't help you with that one. P.S. When you get an answer to how to create a drop down box, it would be great if you came back and posted that answer here!